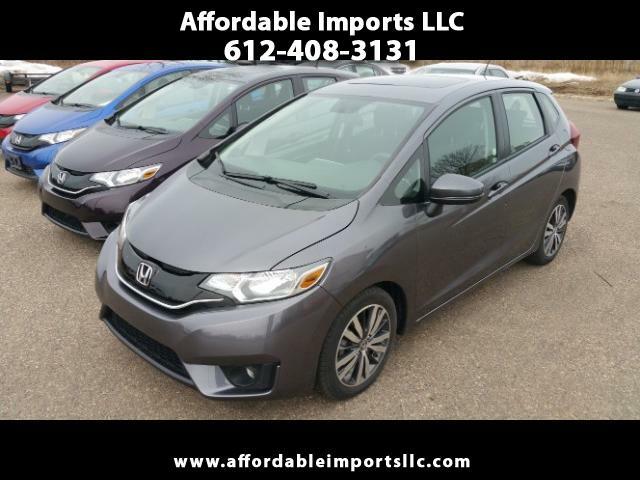 2015 Honda Fit EX CVT is a FWD sub-compact five-door hatchback with seating for five. The Fit is powered by a 1.5-liter 4-cylinder engine. Automatic transmission . Fuel mileage is an EPA estimated 32 mpg city and 38 mpg highway. Features include steering wheel mounted controls USB audio interface CD/MP3 compatibility airbags anti-lock braking (ABS) vehicle stability assist (VSA) traction control (TCS) electronic brake distribution (EBD) and tire pressure monitoring (TPMS). Accident History. Prior Salvage Title. We've got financing available super convenient with immediate delivery for those who qualify..FOR ADDITIONAL INFORMATION OR TO MAKE APPOINTMENT CALL 612-408-3131. 7751 Hwy 10 w #8 Ramsey MN 55303.